As predictable and understandable as it may be, its invisibility means we get caught off guard. and tolerance levels even shorter still. As darkness eclipses sunshine earlier and earlier, sense of humour fades. Inner voices of cross, irritated, impatience commentary become louder and louder. The fatigue feels endless. The ability to rise above increasingly challenging. And then they start….those all too familiar sounds of the season: Christmas carols. We all know the feeling – when a new year begins, 365 (sometimes 366) days of ‘doing’ are ahead of us. Turning the page into a new calendar year is nothing but wonderful, powerful, joyful. The risks and challenges that lay ahead? Those are the sources of growth, of getting outside one’s comfort zone to discover what more one can become, can achieve, can celebrate. Today’s day and age of 24/7/365 connectivity has turned millions upon millions across the world into steadfast soldiers of the working world, be it profession or vocation or both, entering January each year with excitement, optimism and extra battery refills to keep energy and delivery strong. Into the year one marches, twelve months of possibility stretched out in front of us. The blessing of all that can be becomes the fuel for the year’s momentum of motion, of meaning, of moments of magic. Why? Because with each new year comes new hopes, new prayers, new resolutions, new emotions. No matter how hectic the list may be, there is a bounce in step at the newness, freshness, possibility of the months head. Milestones pass as the months move on. The thought of counting down to the end of the year is a futile one. There is so much time ahead, and we all to busy getting on the the busyness of daily business, be it personal or professional, that pausing to count is academic. For what purpose? Then suddenly, somehow, suddenly, the direction of the year changes. We’re in November, which means there are only a matter of days to go before December begins the countdown to the end of the year. It is no longer about looking forward from the start line to all that can be done. It becomes about looking backwards from the finish at all that must be done to ensure commitments made are fulfilled, promises are kept. Needless to say, it creates a deep change in body, mind and spirit. A heaviness sets in. So much to do, so little time. Realising this, the reality of timing, of it being ‘that time of year again’, seems too simple an explanation. And yet it is the only rationale needed. It is the simple truth. All it takes is the sound of a little drummer boy playing his pa-rum-pum-pum-pum, or the sight of an angel’s wing twinkling in the night’s dark sky, to make one’s heart pause, breathe in, find a place of calm, know that the finish line is near, and know it’s okay to feel the fatigue of the many months that have passed. For those in the global travel industry, this is when the heart of why we do what we do goes to the fore: creating opportunities for people to pause, whether with those loved or even alone, and allow the time to be used for self-care. As proud practitioners of a sector that has become one of the most critical worldwide for not just in growth of economies, societies, cultures and communities, but for global unity, safety, security and opportunity, so easily we get caught up in the ‘where’, ‘how’, ‘what’ and ‘when’ of travel. It is at this time of year when we the travel community, as travellers ourselves, start to focus on the ‘why’ – because we too are so in need of a holiday. No further analysis required. Whatever one’s faith, whatever awaits at the finish line, those sweet moments are the end of the year are near. Close your eyes, open your heart, hear that soft, soothing sound: pa-rum-pum-pum-pum, pa-rum-pum-pum-pum, pa-rum-pum-pum-pum. And….breathe. 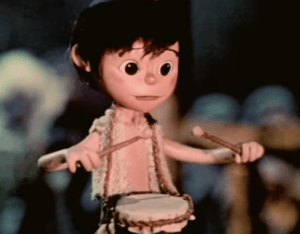 Onward, stepping forward in to the rhythm of the little drummer boy’s beat: pa-rum-pum-pum-pum.